Consortium offers you a window into the world of independent publishing with a wide range of award-winning books from National Book Awards and Nobel Prize winners to ALA Notables. We recognize that libraries serve a diverse constituency and we want to help you find books from independent publishers that can fill gaps in your collections. Have a question? Please contact us directly at [email protected]. We offer a comprehensive search tool to help you find exactly what you need to round out your list. Search by subject to find the best in poetry, terrific new mysteries, provocative current affairs titles, or unique children's books. Browse our Library Express newsletter for book recommendations, conference information, and event-planning tools. You get ideas out to the world, we want to help. 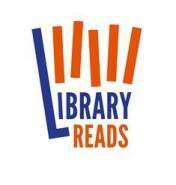 See our Library nominations here. Become our friend on Goodreads and LibraryThing! Don't forget to become a fan of our Facebook page, and be sure to follow us on Twitter!